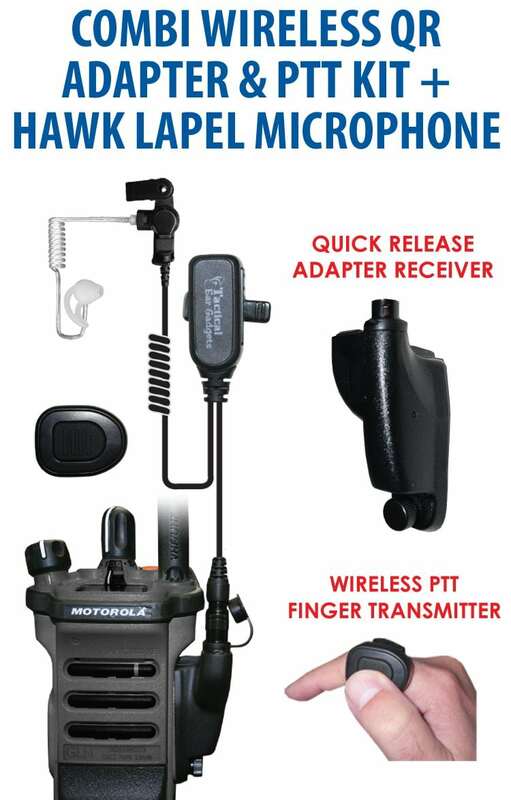 The Combi is our new wireless PTT Kit made for APX & XTS Motorola radios. 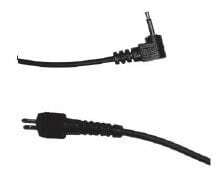 The Kit consists of a Quick Release Adapter and a Remote PTT wireless Transmitter. The best feature of the Combi is that you can attach just about any EPC Quick Release headset and key the radio remotely from the PTT button. The button can be adhered anywhere with the addition of our Velcro finger piece or weapons mount (included). This can benefit a variety of law enforcement divisions; patrol, undercover or tactical. Just combine the appropriate headset to the Combi kit. 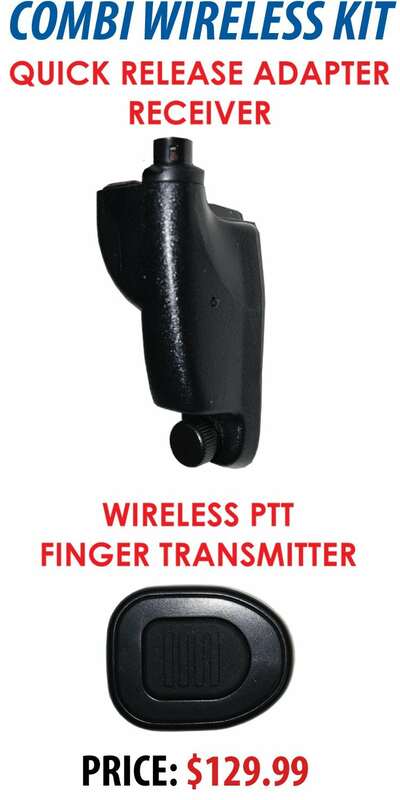 The Wireless PTT Transmitter and Receiver offers all the benefits of hands-free technology. 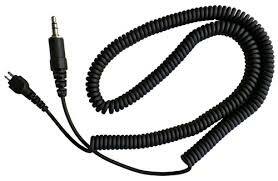 Combine any microphone from the Quick-Release Accessories category to make a complete kit. The wireless PTT button with Velcro strap conveniently attaches to any pistol grip, handle bar, or finger. This unit is the ultimate solution for hands-free operations. These wireless systems allow the user to communicate without taking their hands away from imperative situations. 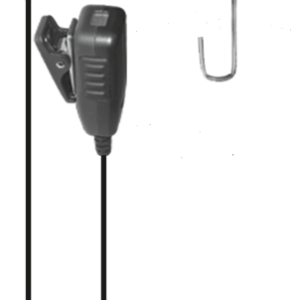 The transmitter (push-to-talk button with Velcro strap) sends the signal to the receiver using the same frequency as a garage door opener. There is no radio frequency interference. 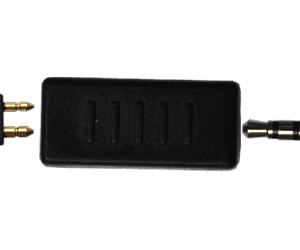 The transmitter runs on a built-in battery, so you never have to charge the unit. The transmitter will last 100,000 clicks before needing replacement. Because the transmitter is waterproof, you simply replace the transmitter instead of replacing the battery. The transmitter and receiver come paired right out of the box. Because each unit works independently, you can have multiple units together and never trigger another unit. If the transmitter needs to be replaced, the pairing process is simple. The receiver takes the power from the radio, drawing very little energy.